The Cayman islands offers some of the world unparalleled reef and coral diving up there with the barrier reef. The benefit of joining this livebaoard is to see 3 destinations for the price of one. 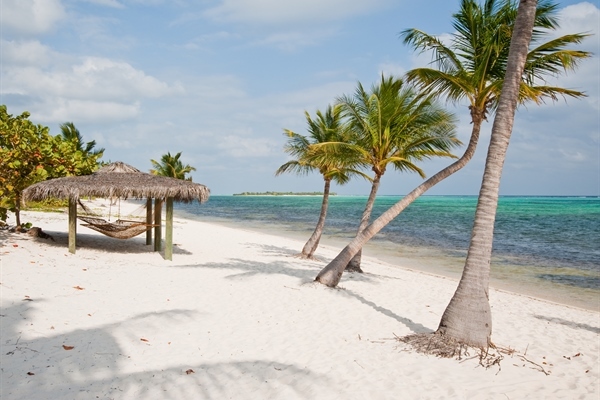 Little Cayman Beach Resort is paradise on earth. This modern and elegant hotel offers guests outstanding accommodation, pristine reefs, excellent visibility and incredible diving! Some of the best coral in the Caribbean is in the Cayman islands. A destination that offers plenty to do on land and in the water. A great mixture of dive sites for all types of diver. Take a special trip to a wreck or a place where the Stingrays congregate. The Cayman Islands offer some of the best diving in the Caribbean, you will be very impressive with your dive at Bloody Bay Wall on Little Cayman with a spectacular combination of marine life, colour and visibility. Babylon on Grand Cayman is a wall that runs around the entire island and home to giant purple sea fans, barrel sponges, barracuda, rays, turtles and much more. Educational, cultural and entertainment programmes are consistently being created and updated to enhance the experience that can only be found at our world renowned attraction. Enjoy the simple elegance of a traditional Caymanian garden with the startling beauty of an exotic floral display. Spend an hour or two… or a full day! The Cayman Islands are known for their spectacular wall dives and will forever be one of the world’s most popular dive destinations. With 365 dive sites across 3 islands, Cayman offers a wide variety for all experience levels from beginner to advanced diver. Be it shallow coral gardens, unspoiled reefs, sheer walls, interesting wrecks, or exploring the rubble; Cayman waters offer captivating images to divers of all levels. With visibility that often reaches more than 30 metres, the Cayman Islands offer some of the best scuba diving in the Caribbean. Grand Cayman offers dramatic and diverse scuba diving as the product of geology, which played a key role in fashioning the Cayman Islands into one of the most sought-after watersports destinations in the world. 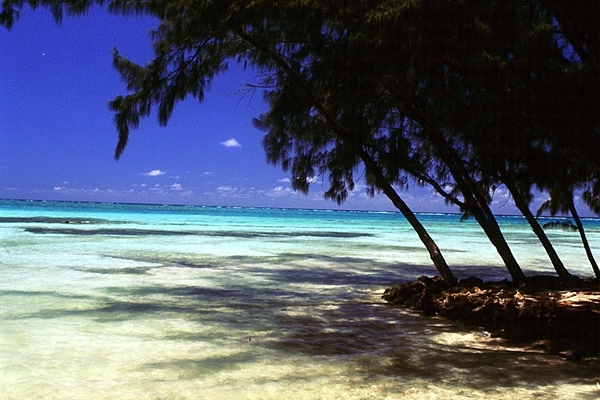 Residing atop the peak of a sheer submerged mountain range, the Cayman Islands are surrounded by the Cayman Trench. The northern edges of the trench form the massive wall known as the Cayman Ridge, which plunges dramatically to depths in excess of 7,500 metres, making it the deepest point in the Caribbean Sea. This drop-off (or ‘wall’) commences its vertical descent approximately 1 metre from shore where depths range from 12 to 18 metres. When you dive Cayman, you can expect to see an abundance of sea life on every dive. Diving in Grand Cayman will expose you to an exciting assortment of walls, caves, caverns, tunnels, chutes and swim-throughs; as well as thousands of species of fish and coral. Scuba diving Grand Cayman island and its sister islands is a must do for every dive enthusiast. “USS Kittiwake” - was a United States Navy submarine rescue. She was scuttled on in January 2011 near Seven Mile Beach on Grand Cayman and is resting upright in 18 metres of water on a sandy bottom. You can snorkel overhead and see the main decks and topography of the ship plus take a look down the smoke stack that opens up straight down to the bottom of the hull and the engine rooms. There is no end of rooms to explore this wreck, that will soon enough become an artificial reef, enhancing the marine environment with new fishery stock and habitats for marine life. “Stingray City” - The best 4 metre dive in the world! 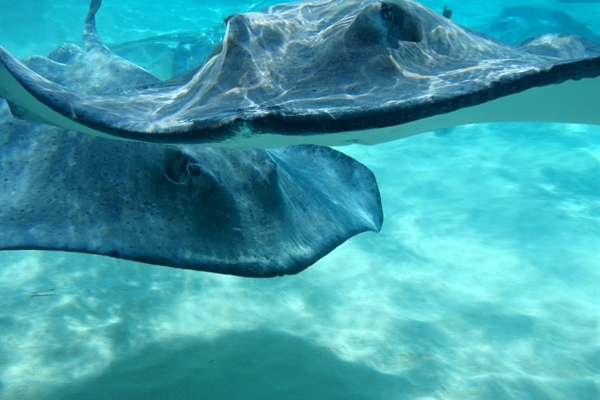 No visit to the Cayman Islands would be complete without experiencing the Stingray City phenomenon. After a short boat ride across the beautiful North Sound you will arrive at this world famous dive site. You will have the unique opportunity to interact with dozens of friendly Southern Stingrays; over the years they have become incredibly gentle and will expect to be petted and handled. The fish are unafraid of divers, knowing no threat is posed. They don't flee when approached. Instead, silvery Tarpon hover motionless in mid-water, surrounded by glittery silversides, and French angelfish fin in close to check you out. Huge barrel sponges and swirling schools of fish are common off Grand Cayman. These reefs are unspoiled; gorgonians and hard corals thrive in the clear, warm waters. “Trinity Caves” - Marked by a large coral head on the reef edge, Trinity Caves is 3 swim-throughs that start at the reef top in 12 metres of water and twist there way through the reef to where they open up onto the wall at 26 metres. In these swim-throughs you will find black coral, seafans & tube sponges and schools of glassfish. Lobsters can be seen lurking in the many holes within caves. You will also see parrotfish, tang and angelfish, chromis and chub. 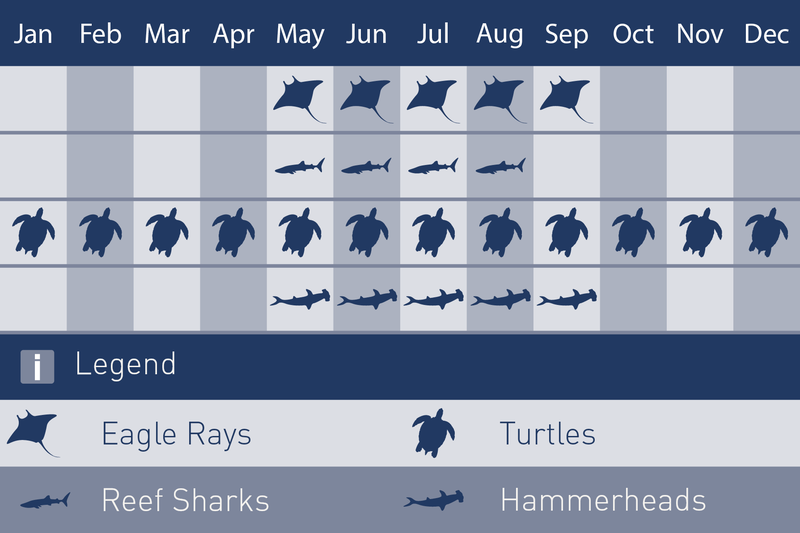 “Snapper Hole” - has been named by many as "the best shallow reef dive in the Caribbean". This signature dive site is located just off the shore on the eastern side of Grand Cayman. The site consists of a labyrinth of tunnels and caverns filled with snappers, tarpon and silversides, and draped with lush corals on sponges. The mooring pin and top of the reef is at a depth of approximately 8 metres and then drops down to a maximum depth of 20 metres. Snapper Hole also features a large 1872 historical Spanish anchor with chain and a rare formation of pillar coral. You can even find lettuce leaf sea slugs here and lots of other marine critters hiding under ledges or in small cracks and crevasses. This site is not to be missed; in fact it is recommended to dive it twice if you get the chance. “Babylon” - Noted as one of the Top 10 wall dives in the Caribbean. Babylon is one of the most remote sites on Grand Cayman and is located on the North Wall, half way between Rum Point and East End. Do not confuse all the hype about the beauty of this dive site and its remote location as to making it an advanced dive. Once you get there, Babylon is a very easy dive, the top of the Cayman wall starts between 10-14 metres. There are large sand patches on top of the wall and excellent shallow reefs for those scuba divers that do not want to venture too deep. For scuba divers who want a true vertical experience, they will find it on the wall at Babylon. The wall topography changes from a sheer plunging wall face to cascading sheets of plate coral and large pinnacles jutting in to the crystal clear waters of the Cayman Trench. The wall teems with schools of chromis, often interrupted by barracuda, stop-light parrotfish or queen angelfish. The wall is decorated with thick outcroppings of black coral, purple seafans, barrel sponges and a great variety of other tropical marine life. 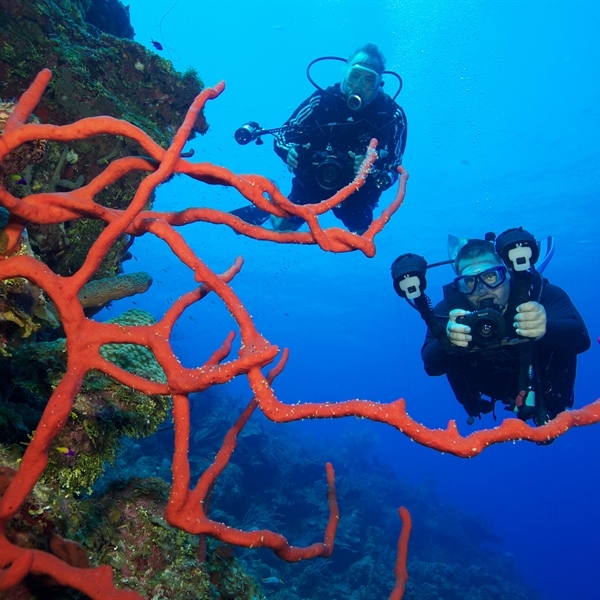 Diving in Little Cayman provides among the most diverse, dramatic and rewarding dives in the world. Little Caymans Bloody Bay Wall starts just 5 metres below the surface and plummets vertically to depths most easily measured in miles. With more then 50 dive sites descending to a depth of 1850 metres discovery is the first word that comes to mind when visiting Little Cayman. This undeveloped island provides divers an experience like no other. This 10 mile long one-mile-wide Island is the least developed of the three and is home to 100 residents. Dive with jacks, groupers and turtles at Cumber’s Cave; this shallow 6 metre dive provides inexperienced divers with swim-throughs and vistas of coral heads. Little Cayman is a necessary stop on any Cayman vacation; providing rest and relaxation as well as many wonderful activities above and especially below the water’s surface. 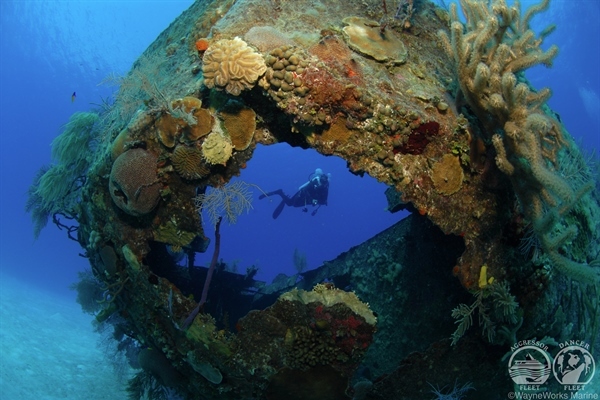 “Bloody Bay Wall” - offers the most popular and highly publicised dive sites in Little Cayman. Bloody Bay Wall is not a specific Little Cayman wall diving site but rather an entire area spanning more than a mile and offering some of the most dramatic wall diving anywhere on planet Earth. Bloody Bay Wall's North West side boasts underwater ledges that commence their steep vertical plummet just 3-6 metres from the surface and extend to several thousand metres. Diving Bloody Bay Wall in Little Cayman goes well beyond a 'must do' diving experience. Visitors from all over the world flock to Little Cayman just for the opportunity to dive this truly world class dive site. “Jackson or Jackson's Bight” - is every bit as spectacular as Bloody Bay Wall. Tunnels, chutes, crevices, reefs and huge numbers of corals and marine life also populate Little Caymans Jackson diving area. Sharks and spotted eagle rays provide the background scenery with visibility in excess of 30 metres and often nearing 60 metres. Looking down you will find lobsters, turtles, eagle rays, stingrays, pipefish and every conceivable form of tropical sea life. Look up, under your Little Cayman dive boat and see the barracuda surrounded by a cloud of unsuspecting sergeant major fish. “Mixing Bowl” - also referred to as 3 Fathom Wall, bridges Jackson Bight and Bloody Bay Wall. Mixing Bowl offers the largest schools of fish and amazing reef structures. There is a large crevice near the centre of Mixing Bowl that separates Bloody Bay Wall from Jackson. The Jackson Bay sand patch starts here. Scorpion fish are common and huge schools of fish typically occupy the area. yellowhead jawfish are occasionally found nursing eggs in their mouths and lobsters roam around freely even during the day. Mixing Bowl is one of the most amazingly colourful sites, and a night dive here will leave you speechless. “Soto Trader” - it’s Little Cayman's only wreck. The Soto Trader was a small island freighter that sunk after an explosion caused a fire on board. It's 40 metrest long and lies upright in about 15 metres on a sandy bottom, just next to the small reef leading to shore, right in front of the Villas. A huge goliath grouper likes the place, you might see him if you're lucky even though he is extremely shy. Spotted drums are common around the wreck, both juveniles and adults. Then swim across the sand to a coral island and look for eagle rays and nurse sharks. 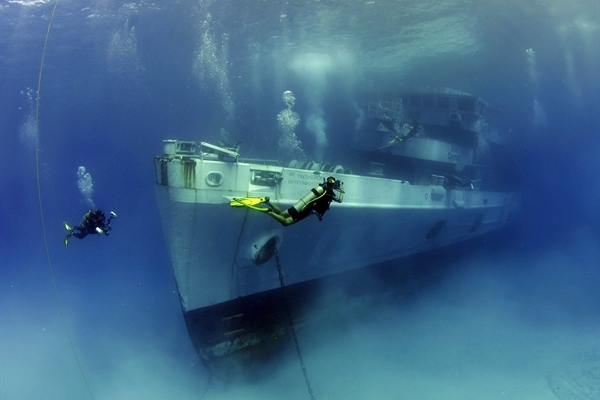 Diving in Cayman Brac will reveal walls, reefs and their most famous shipwreck dive, MV Capt. Keith Tibbetts Memorial. Cayman Brac is only an average of six miles from Little Cayman so many Cayman Brac dive operators offer a mix of Cayman Brac diving and Little Cayman diving. The quiet, laidback atmosphere of the island contradicts the activity found under that water’s surface. Cayman Brac is host to 1800 residents, 1 nature reserve and more then 50 dive sites. Against Tetanus, Hepatitis A and Typhoid, your nurse will advise you against Hepatitis B and Tuberculosis. Restaurants often add a 10 to 15 percent service charge in lieu of asking customers to tip, however, if the service charge is not added, a tip is expected. A 15 percent tip is the norm in the Cayman Islands, however, if you receive exceptional service, does not hesitate to tip more. 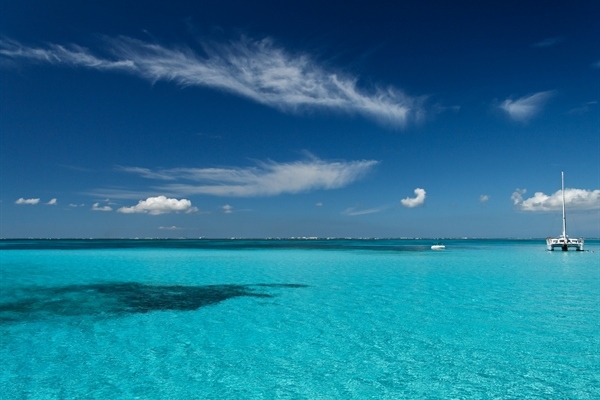 You must hold a valid passport to enter the Cayman Islands. 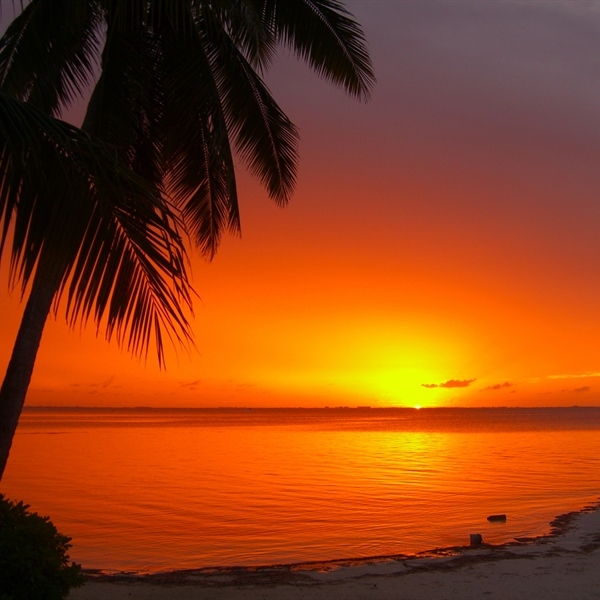 Your passport should be valid for at least the duration of your intended stay in the Cayman Islands. Departing from either Gatwick or Heathrow to Cayman Island via New York and Atlanta. Your flight will be around 26h and 55 minutes, this can change will depend on the route taken.